These gifts for grillers are just what the grillmaster ordered! In some families, the man is the master of the grill. Growing up, my dad always did the grilling…but he wasn’t exactly a master. We learned to eat our meat black and smoldering because that’s the only way he could cook it. Burgers were gray charcoal patties, crunchy on the outside, lifeless on the inside. Thankfully he’s since become much more adept at grilling, and hopefully your grill master makes things tasty too. 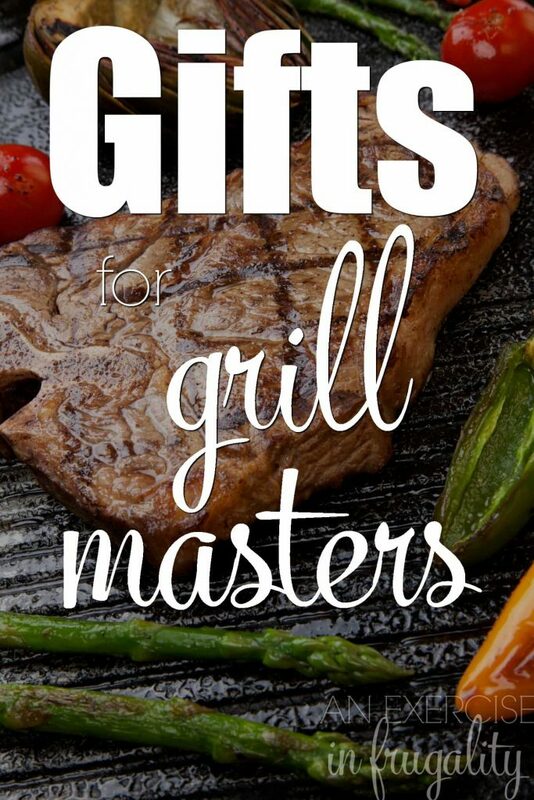 These gifts for grillers are perfect for anyone of any age who loves to grill! Whether gas or charcoal (the age-old battle of course) these accessories will make for a unique grilling experience. We’ve got everything from tools to spices to flavor enhancers here, so there’s lots of deliciousness to be had any time of year! I mean, could a book about grilling by a guy named Meathead possibly be bad? I certainly don’t think so. And don’t forget, regardless of where you live, grilling can generally be done year round! My dad has cooked many grilled items in the snow…after shoveling a path TO the grill of course. These gifts for grillers do make me crave summer though, because let’s face it, even though it can be done year round, grilling just evokes images of summer. So maybe a grilled steak in the dead of winter isn’t such a bad idea, because it will bring your brain on a little summer vacation. What’s your favorite of these great gifts for grillers?